The Open Culture Summer Arts Market is back! 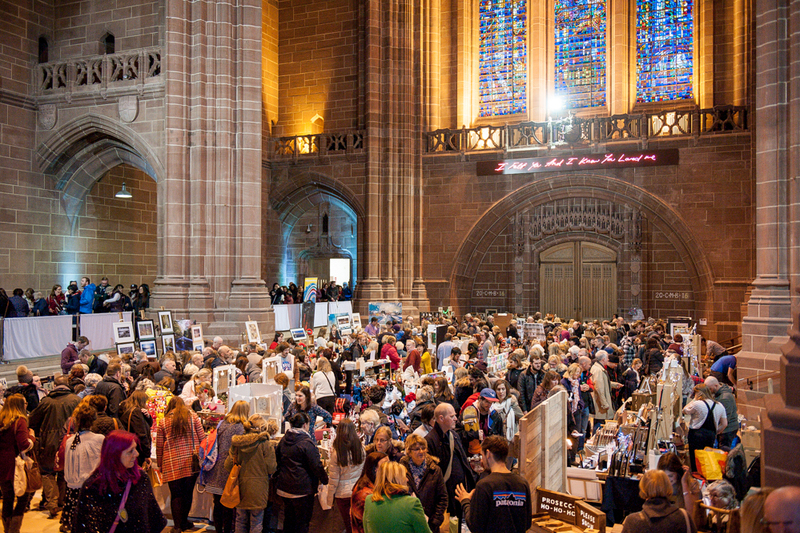 Following the Winter Arts Market’s hugely successful move to Liverpool Cathedral in December, it’s sunny sister is also being held in the same awe-inspiring surroundings; as one of the most beautiful venues in the city, it’s the perfect place for it’s biggest and best independent shopping experience. Featuring stalls from over 200 artists, designers and makers, you’ll be spoilt for choice with everything from paintings, photography and screenprints to jewellery, homewares, glassware, textiles and homemade beauty products available to buy directly from the maker. There’s also plenty to look out for downstairs with a vintage fair in the Concert Room, or pop along the corridor to the Dining Room to pick up treats from some of the region’s best artisan food producers. The Cathedral’s Welsford Cafe will be on hand with refreshments and a BBQ throughout the day, and a crafting workshop from 11am – 4pm will keep children and the young at heart alike entertained. You can see a selection of work from this year’s exhibitors here.